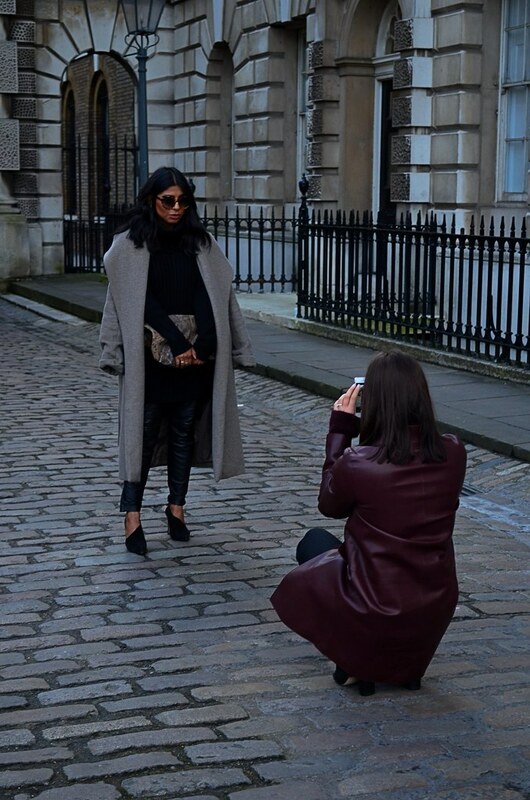 One of the best parts of fashion month for me is the streetstyle. Each fashion week is so different from the other and that reflects in people’s style. It’s truly fascinating to see how the same person changes from city to city. 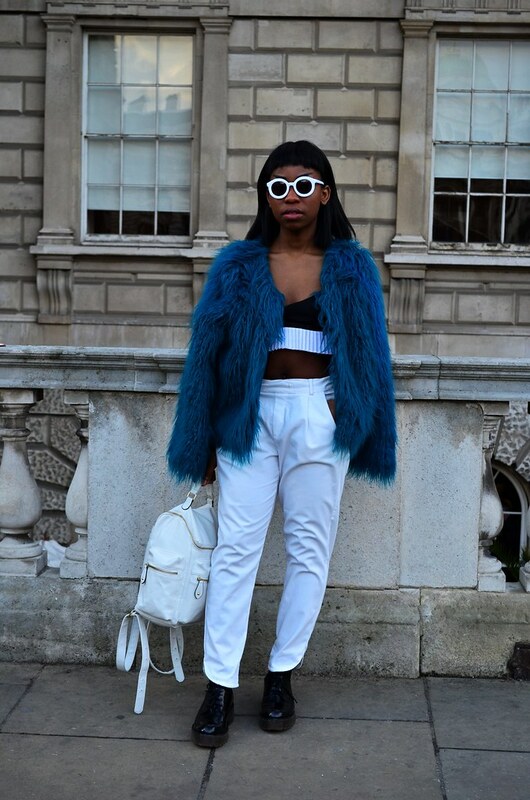 In my attempts to prove that fashion week is not only for those with an invite (although 88.978% it is) I wondered around Somerset House this February to catch a glimpse at all the streetstyle outside the shows. Going to Somerset House during fashion week is always a toss and I unfortunately got there whilst the Burberry show was in full swing in Hyde Park so I didn’t get to see all of the people I wished to see. To be honest, this past LFW was a bit disappointing for me as most of the people I was interested to see were not actually there. As excited as I was to get a feel for what Fashion Week means, in the end I was slightly disappointed. The amount of girls prancing around in sandals and short dresses amazed me and underwhelmed me at the same time. Bear in mind that this was happening in February and London is not the warmest of places even now, in June. Browsing through streetstyle photographs you might think that a short sweater dress and over the knee boots look amazing but had you been there at that moment you might have noticed a big coat on the photographer’s arm or one hell of a trembling girl, looking forward to the end of the shoot so she can jump in a cab and go somewhere warm. I can’t stress this enough: I love a standout look and I think everyone should be free to wear what he or she wants but I think blogs are beautifully deceiving in this respect - only showing us one side of the story. I’m not saying that you should wear a thousand layers and your blanket but when it’s obvious you are not owning your look why bother for the sake of a shot? Just like bloggers should be truthful in terms of sponsored content so should they be in terms of personal content. I just wish I could see one blogger killing it in a huge puffer jacket one season. 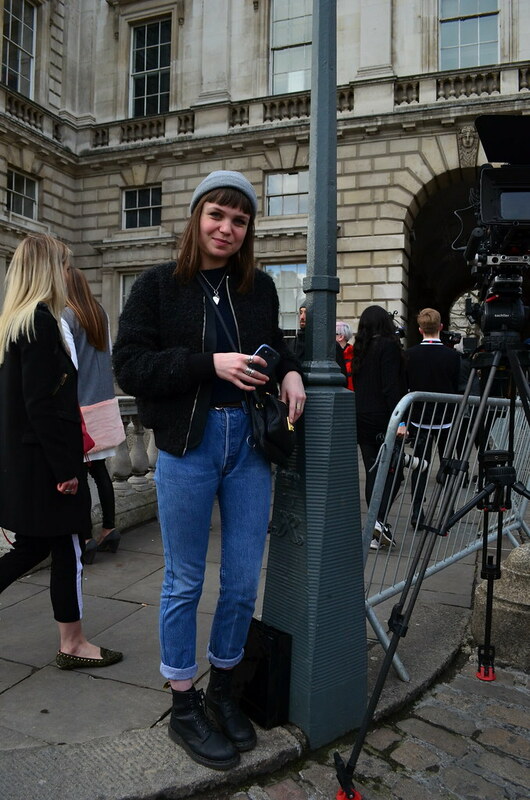 Anywho, my trip to Somerset House wasn’t a complete waste and, in line with throwback posts, here are a few pictures of the people I did actually like and managed to snap. Hope you enjoy! Beautiful people, fabulous outfits. So cool!